First Week Free! 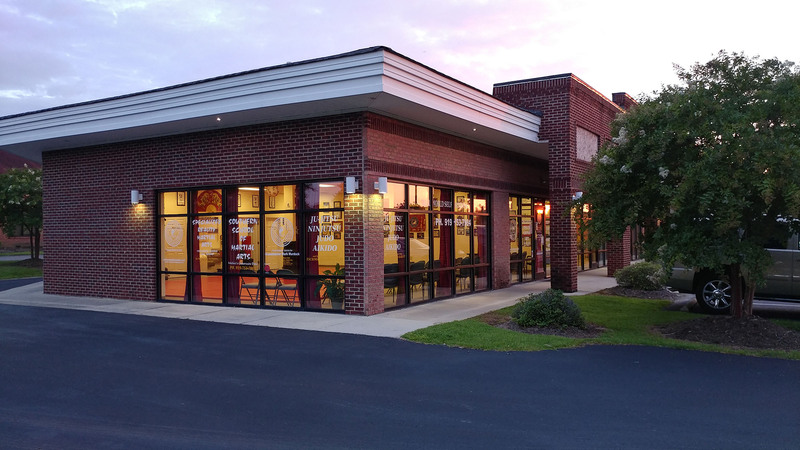 Please call 919-753-7964 to schedule your free week. 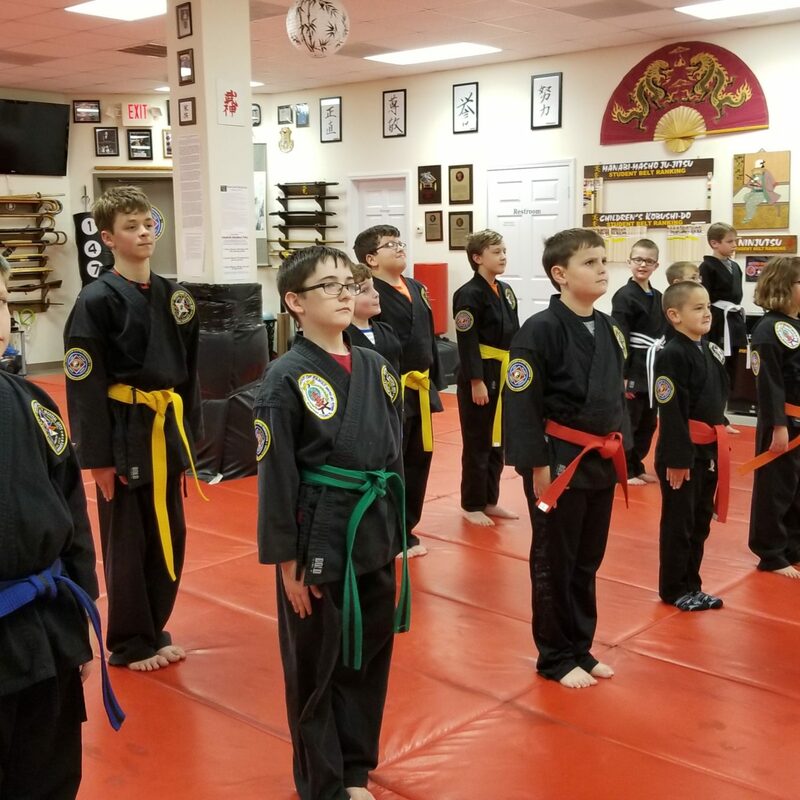 Our children's martial arts students learn effective martial arts and self defense. They gain self confidence, self esteem, self control and self disciple while being respectful and kind. They continually learn valuable life lessons and goal setting while they develop good character and morals. 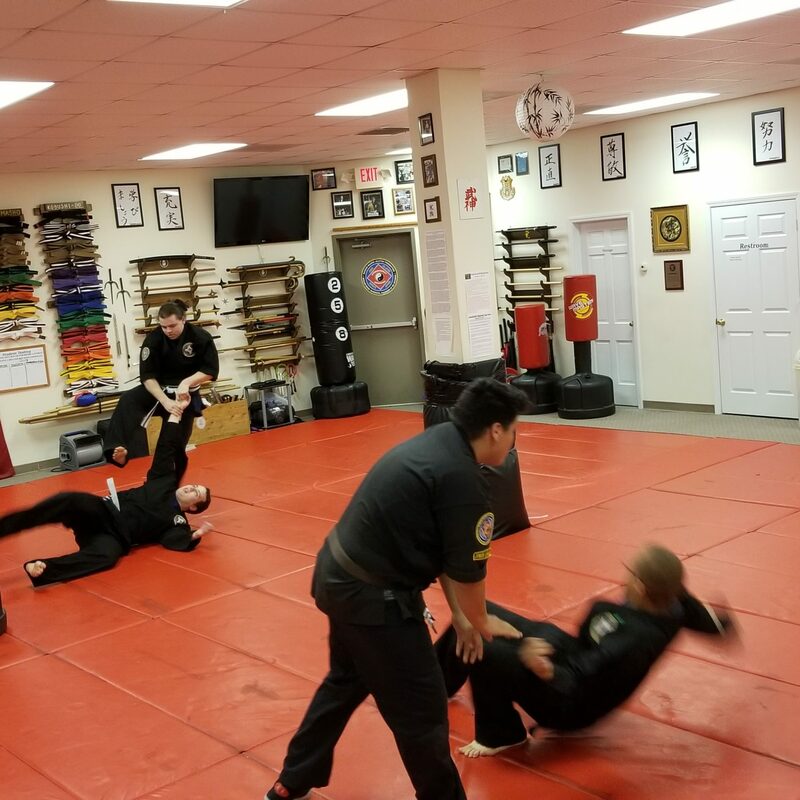 We offer a very effective self defense and martial art program. 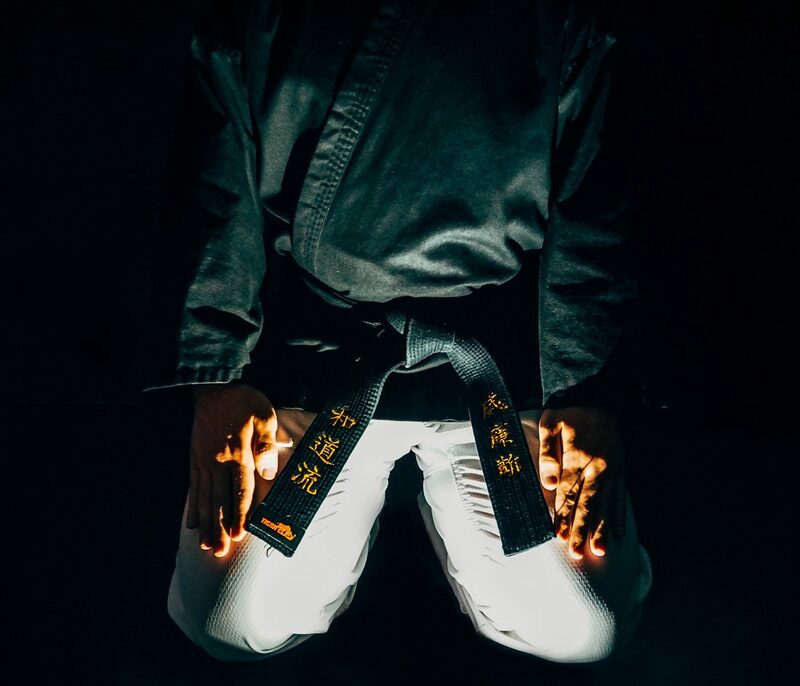 It's a modernized classic Ju-Jitsu style with a blend of Ninjutsu, Aikido, Judo, Karate, JKD, Krav Maga, Eskrima and Kali. 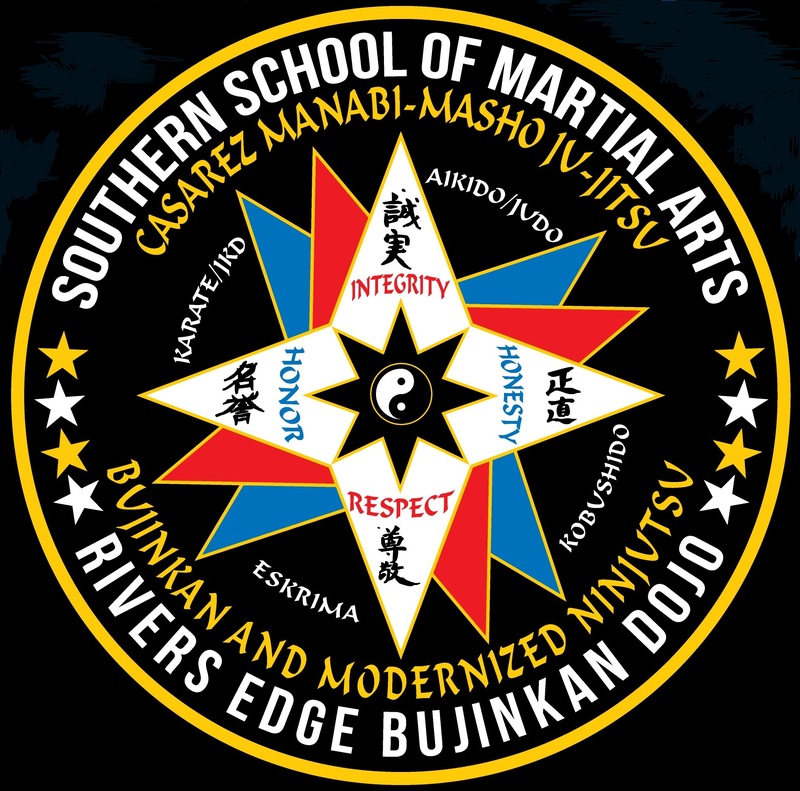 We also offer a traditional Bujinkan Ninjutsu class. Our adult class is a fun and exciting way to get some exercise. It's a lot more entertaining than going to an ordinary gym and spending all your evenings on a treadmill or a weight machine. Our students get personalized one on one training from a highly skilled instructor. With us you learn a skill that will stay with you for a lifetime and someday could save your life. Several of these techniques require only minimal strength to perform and they will still work when you're older or out of shape. Why not take a couple evenings away from the gym and learn something interesting. 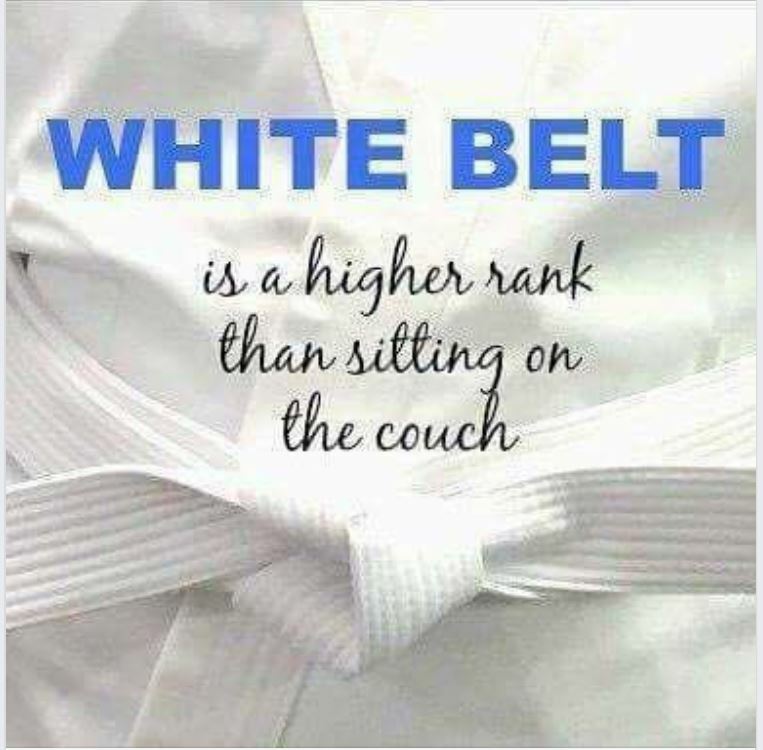 White belt is the first step! Tired of sitting on the couch and being a couch potato. Want to get in shape while having a lot of fun and learning a special skill that could some day save your life? Want to meet new people and develop new friendships and relationships? Do you want something better than a boring old workout at the gym? Why not stop by and give it a try. You'll be surprised how much fun you can have.